Sendmode has added an extra layer of security to stop Bulk SMS scammers from sending you phishing SMS messages which are attempts to scam you out of money. Phishing has become more popular with scammers as everyone has a mobile phone nowadays and everyone reads their text messages. The fraudulent practice of sending text messages purporting to be from reputable companies in order to induce individuals to reveal personal information, such as passwords or credit card numbers. Smishing is on the rise. Check out this report from Fox News in the US. Smishing on the Rise. We’ve introduced a new algorithm into our security checks which validates the content of all messages and the SenderIDs before they are sent from Sendmode to the mobile operators. If the algorithm notices content or a SenderID which does not fit with the registered business the text message is held in quarantine. We will contact the business owner, let them know that we will not be sending out the message and will be contacting the authorities. An example would be someone registering with a gmail account and attempts to send a message from a SenderID of “HSBC” and content suggesting that the recipient should click a weblink. This message will be held in quarantine and we will be contacting the authorities. Security is extremely important to Sendmode. We have a big responsibility to keep all our customers data safe, ensure GDPR compliance for both ourselves and our customers and to ensure we have the most stringent controls against any shishing attacks on consumers. We believe this new layer of security will add extra protection against anyone with malicious intentions from attempting to use our service. 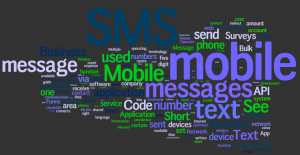 Sendmode has been in the Bulk SMS Marketing industry for 10 years and serves over 35,000 customers worldwide. If you would like to try our SMS platform please click the image below and sign up for a free, no obligation trial. Thanks for taking the time to read this post and we hope you found it helpful. We’re online pretty 24/7 should you need anything. This article was posted in Blog - All Entries, Bulk SMS Marketing Tips and Advice and tagged Bulk SMS, smishing.